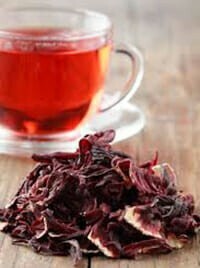 Hibiscus tea (an herbal tea) is made from the Hibiscus flower, but it is also found in other delicious drinks. The hibiscus flower is commonly found in Aguas Frescas which are light drinks (usually non-alcoholic) sold by street vendors, stores (bodegas) and eateries in Central America, Mexico, the Caribbean, and some South American countries. They are also found in some taquerias (taco stand) in the United States. Aguas Frescas are made by combining water, grains, seeds, fruit, sugar or honey, and often hibiscus flowers (as in the recipe below). Cinnamon often pairs well with the fruits so it makes a nice added topping! 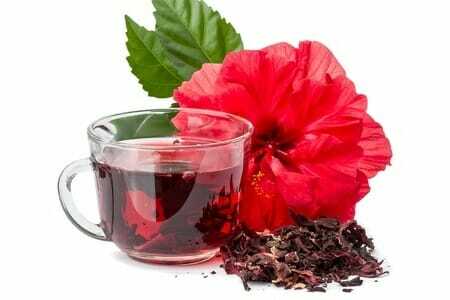 In traditional Chinese medicine (TCM), hibiscus tea is used to help manage a wide variety of health concerns, from insomnia to high blood pressure to soothing skin irritations and much more! This tea also has great antioxidant properties stemming from its high content of Vitamin C.
Place all ingredients in a pan and boil for 5-10 minutes until the water begins to turn a reddish color. Strain and if desired add your favorite organic sweetener. Always use organic ingredients for best results! Never having settled long enough on a career or life path, Elsa discovered Martial Arts and it transformed her life. The tenets of martial arts instilled in her the discipline, dedication, and perseverance that ultimately led her to become an International and National Martial Arts Champion. Years later when she left the martial arts industry in search of a new and meaningful career, she discovered Traditional Chinese Medicine, first as a patient battling digestive and women’s issues, and later as a student. 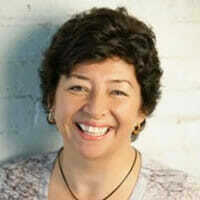 From the beginning, she embraced a holistic approach to medicine along with traditional healing methods, and today she is a Board Certified Acupuncturist and Herbalist. A natural born teacher she now wants to share her passion and knowledge with others! CONFIRMED: Celery Really Does Reduce Blood Pressure! ‹ Making Common Sense out of Crazy Exercise Fads & Whether They Really Work? › Is Functional Exercise The Better Choice To Eliminate Joint Pain and Prevent Injuries?